Day 2! 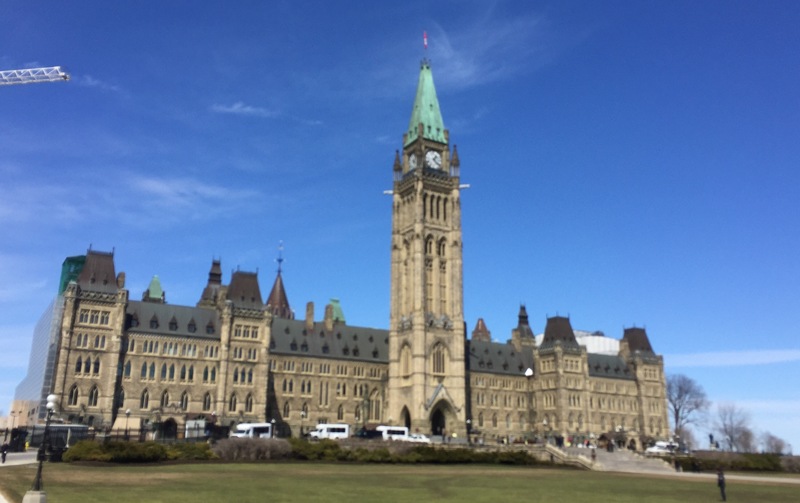 Update for #Guelph on Trip to Ottawa! 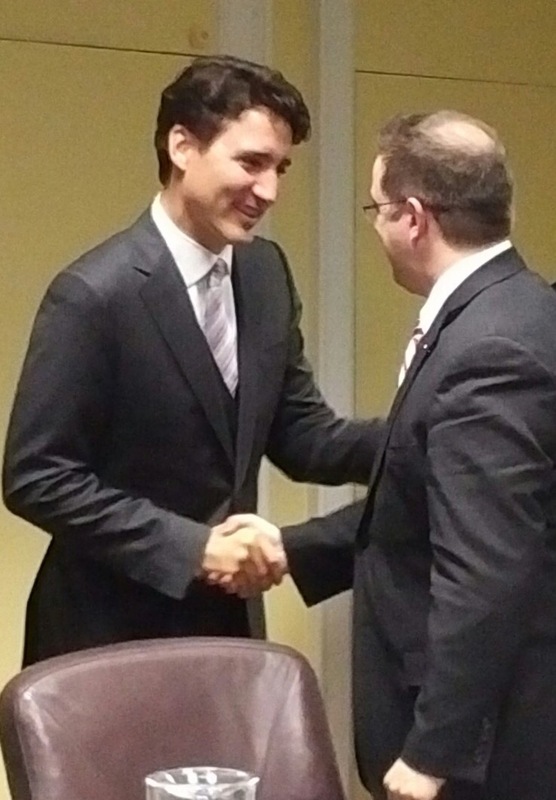 Another very productive day in Ottawa working hard for you – the citizens of Guelph! This morning started off with a briefing of all LUMCO mayors on the 2016 federal budget, specifics on the ministers we would all be meeting and an update from several mayors on focused areas that we, as a LUMCO caucus, would like to push forward on. Then I was off down the street to meet Guelph MP Lloyd Longfield. 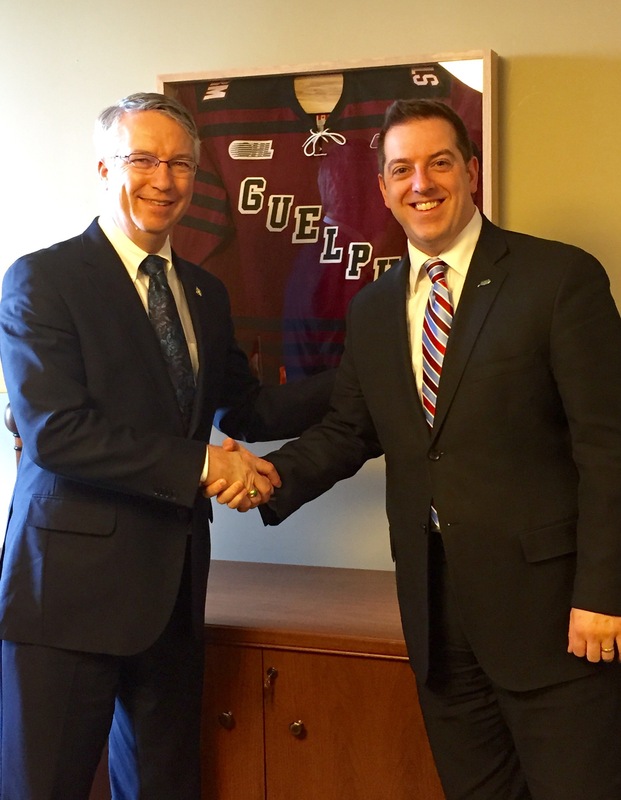 He graciously showed me around his office, introduced me to his great staff and we talked for quite some time on the needs of Guelph. 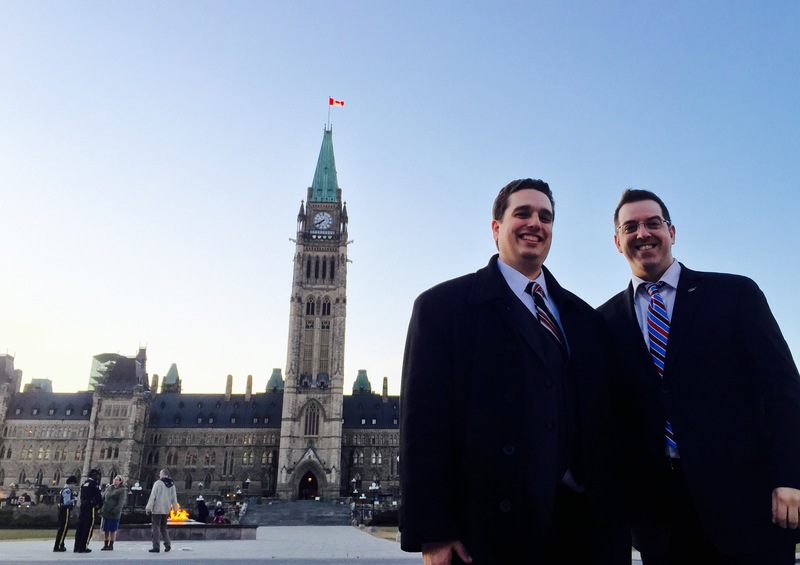 Lloyd and I then walked up to parliament for question period together. I was lucky enough to run into my friend Liberal MP David Graham! 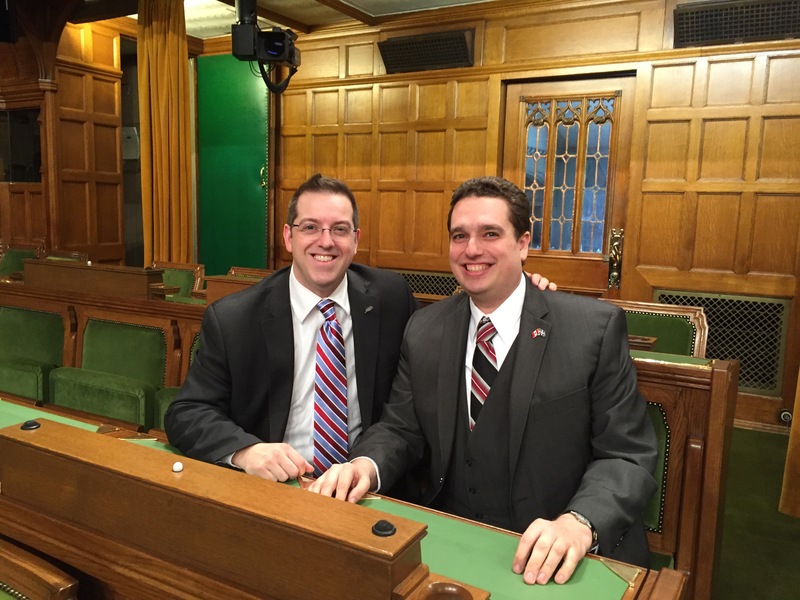 David quickly took me onto the government floor minutes before things were about to start! What an opportunity and such a beautiful building! 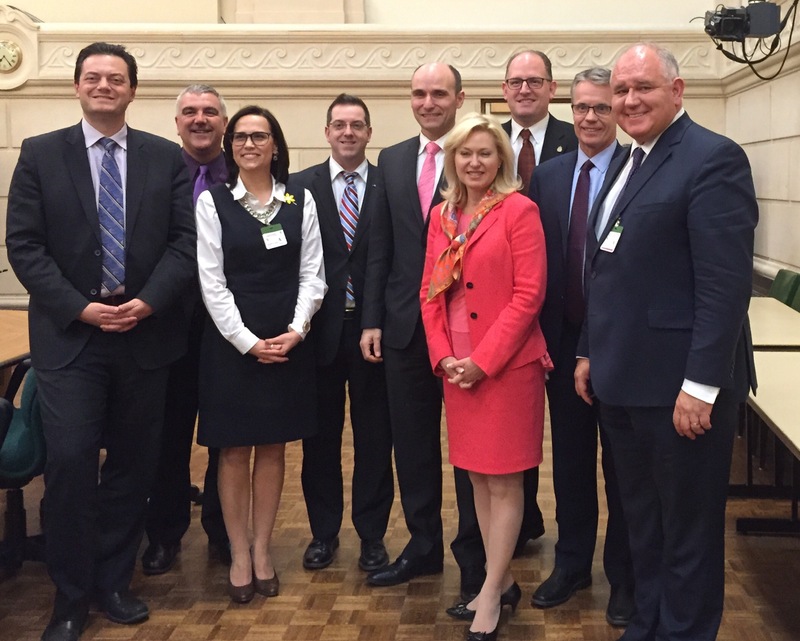 After question period our group had a meeting with Liberal MP Adam Vaughn & our Prime Minister. It was a very productive meeting. I was impressed with the dialogue and assurances of working with municipalities! 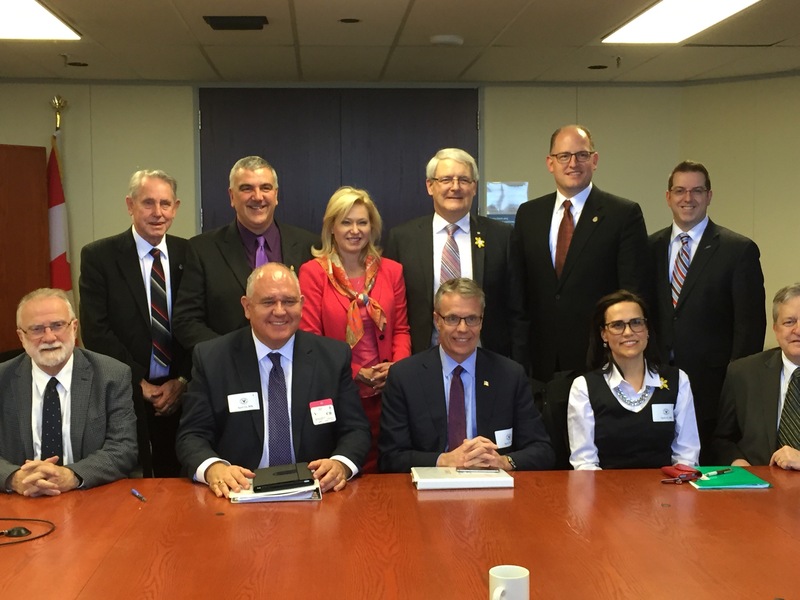 We were then immediately off to meet the Minister of Transportation MP Marc Garneau. 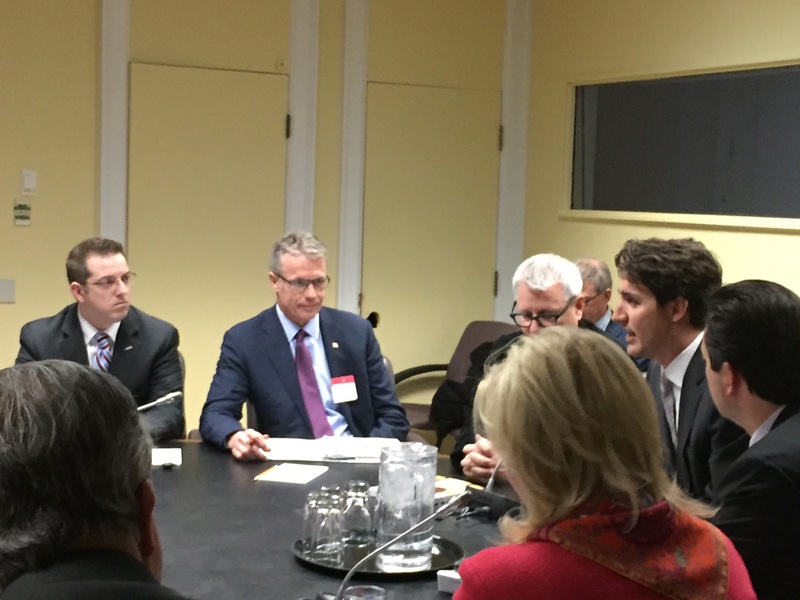 We discussed rail safety and transit infrastructure opportunities for cities. (A quick dinner) then off to meet with the Minister of Family, Children & Social Development MP Jean-Yves Duclos. Another great conversation around housing needs in our communities and discussing new ways for us to be “at the table” for these discussions moving forward. After that I met back up with David & we continued to discuss our roles both as mayor and MP. This has been such a great trip for Guelph! 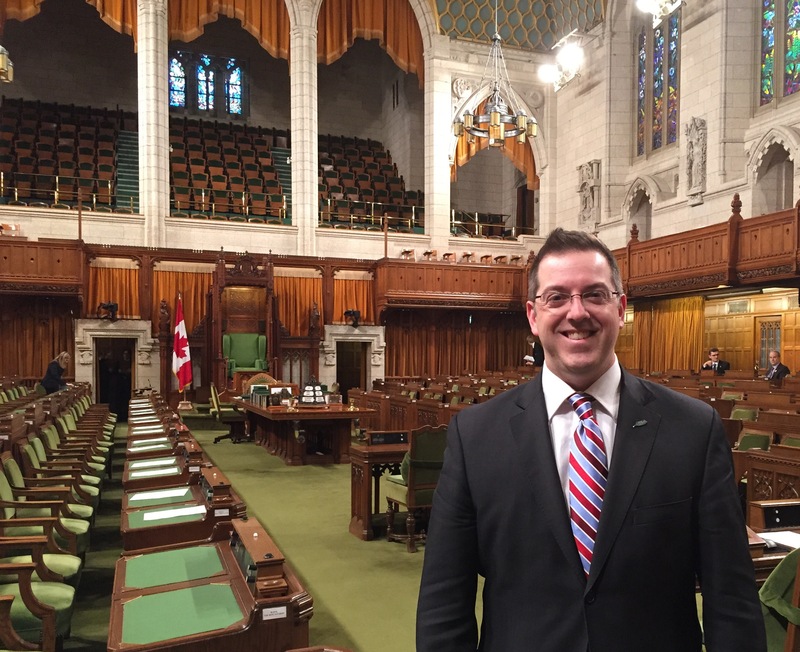 I have connected well with all the MP’s I have met, learned a great deal and created lasting relationships with other mayors. Guelph is looked upon by many up here as a fantastic city! Our city is most definitely known for all the good things that we should be proud of! Like the first picture and too bad you both couldn’t have faced the camera. No red tie again! !